Home » Posts Tagged "industrial engineering"
No teaching for a year?!? It’s not as relaxing as you think. Oh, you’re on sabbatical? A whole year with no teaching and committee work; what are you going to do? I can’t tell you how many times I’ve had this conversation as I begin my year-long sabbatical this fall. When I have this conversation with other faculty, they want to know which exotic country I’ll be in while writing my book, learning new research methods, or starting a new research trajectory – or all the above. When the conversation is with non-academics, though, they are in complete disbelief that I am allowed to do this – and get paid for it! They can’t fathom why Penn State would allow this, and think that I must be sitting around eating bon-bons all day. How wrong they are! any extended period of leave from one’s customary work, especially for rest, to acquire new skills or training, etc. Sabbatical Leave provides a leave of absence with pay for purposes of intensive study or research to increase future contribution to the University. You will see how different Penn State’s definition of sabbatical is from perception. There is no mention of rest – it is “intensive” with the expectation that the experience will “increase future contributions to the University.” While “future contributions” is pretty open-ended, in my world of engineering, the unwritten expectation is that your sabbatical will prepare you to increase your research portfolio (in an existing or new area), which benefits Penn State’s R&D portfolio and leads to more revenue (through overhead and/or licensing of patents). In essence, Penn State’s placing a bet – they pay you for a year to work hard to do something cool that will generate more in return to the University in the future. Faculty often do more into a sabbatical year than a regular academic year to maximize the returns on this rare opportunity, even though we don’t receive our full salary while on a year-long sabbatical. So what am I doing on my sabbatical? Short answer: everything that I wanted to get done since my last sabbatical seven years ago but haven’t had time to do. Longer answer: I’m immersing myself in entrepreneurial cross-training – learning how engineering design fits into the large entrepreneurial ecosystem locally (see photo at left) and nationally – and exploring new research into all the cool things that 3-D printing and additive manufacturing can do for engineering designers. At the same time, I continue to advise my students, make sure that all of my research projects stay on track, and engage in a few consulting projects with industry to validate the impact of my work. To learn more about my plans, I invite you to check out future posts and see what a sabbatical really looks like. Tim Simpson is a professor in both mechanical engineering and industrial engineering. He holds affiliate appointments in the School of Engineering Design, Technology, and Professional Programs (SEDTAPP) and the College of Information Sciences & Technology. From 2007-2012, he served as director of the Learning Factory, and now he serves as co-Director of the Center for Innovative Materials Processing through Direct Digital Deposition (CIMP-3D), a DARPA-funded Manufacturing Demonstration Facility for Additive Manufacturing. This is his second sabbatical. 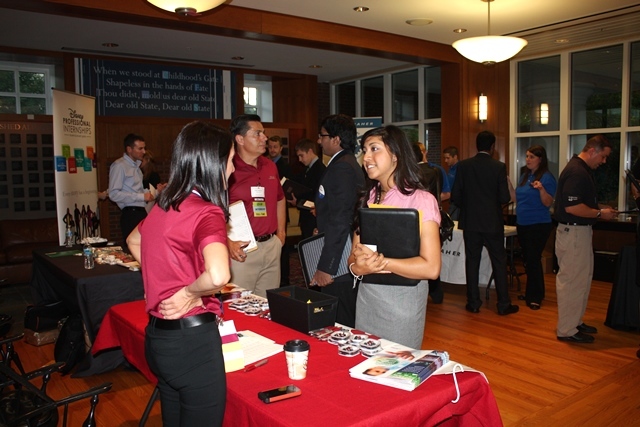 An engineering student engages with a corporate recruiter during the 2013 IIE Career Fair. 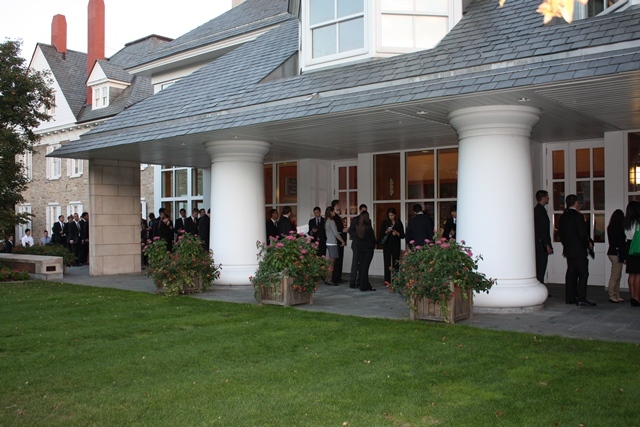 If you were near the Hintz Alumni Center on Wednesday evening, you may have wondered what the line of students around the building was all about. They were not there for tickets to the Jay Z concert, but waiting in line to enter the 2013 Industrial Engineering Career Fair. Organized by the Penn State student chapter of the Institute of Industrial Engineers (IIE), the career fair provided an opportunity for industrial engineering students to meet with representatives from 21 different companies looking specifically to hire IEs for internships, co-ops, and full-time positions. 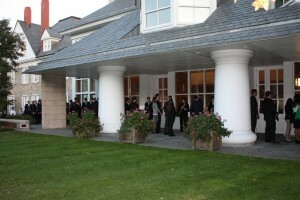 After outgrowing the Leonhard Building lobby, the IIE leadership moved the event to Hintz in order to accommodate the growing number of interested companies, as well as the largest-ever enrollment of students in the department. More than 280 students attended this year’s career fair making it by far the largest ever held by the department. Earlier this week, U.S. News & World Report released its “2014 Best Colleges Rankings,” where Penn State was ranked No. 8 among all public national universities and the College of Engineering was ranked No. 19 among undergraduate engineering programs. The University’s undergraduate programs in biological engineering, bioengineering, computer engineering and electrical engineering were not ranked. According to U.S. News, the undergraduate results are based solely on the peer judgments of deans and senior faculty who rated each program using a scale of 1 to 5 in a mail survey. U.S. News does not include the disciplines of architectural engineering, computer science and nuclear engineering as part of its survey. 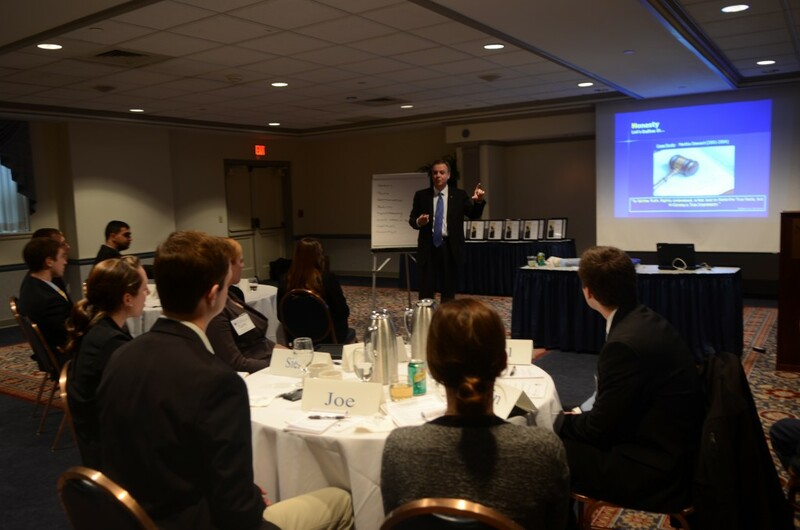 Steven Betza, founder of the ETHICS Academy, talks about the core principles of ETHICS to engineering students at the Nittany Lion Inn. Although learning about the actual discipline is an essential part of engineering training, Penn State students also focus on other skills, including communications, leadership and teamwork. Recently, a select group of engineering students participated in a seminar titled, “ETHICS for World-Class Engineers,” presented by Lockheed Martin and Penn State’s Leonhard Center for the Enhancement of Engineering Education. Steven Betza, founder of the ETHICS Academy and corporate director of electronics engineering and packaging for Lockheed Martin, led the seminar. Betza’s workshop introduced the students to six timeless principles of ethical leadership, which he described as “moments of truth” that occur in everyday life and decision processes to “do the right thing” when ethical situations arise. Terri Creech, an industrial engineering, senior, said she learned successful leaders are selfless and put people first, before any other consideration.